A car tyre for everyday motorists who want save money on fuel. The BluEarth is an Eco tyre which uses low rolling resistance tyre technology to take drivers up to 8% further on a tank of fuel for highway driving and up to 10% further on a tank for urban driving.The orange oil technology in Yokohama's high tech Nano Blend rubber compound adds grip at a micro level. 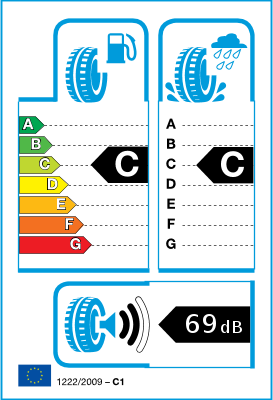 As a result, Yokohama's fuel efficient eco tyres have the grip Yokohama is famous for. In fuel mileage tests the BluEarth AE01 went 8% further on the Highway and 10% further at urban speeds.